Will Bathurst try to restart their destruction of the Denniston Plateau? Industry is exulting over a stellar rise in the coal price this year. But we won’t be investing our savings. The 5 year steady drop in the price of coking coal since 2011 has slowed work at Stockton, prevented the development of Bathurst’s Denniston mine until last year, then after a brief flurry of activity to ensure the consent remained valid, put that mine on hold indefinitely. Now in a few months coking coal that was selling at $72/tonne in January is selling at US$213. Australian thermal coal has risen by 85% – though is still short of 2011 levels. Whitehaven Coal’s share price has risen by 600% but investors would be wise to be cautious. Zhao Chenxin of China’s National Development and Reform Commission has said “the current soaring price has no market foundation and is not sustainable”. Bathurst seems to have similar concerns. They have not reopened Denniston and their share price remains below 6 cents. Perhaps they want to downplay the rise until they have purchased Solid Energy’s Stockton mine? Why did the coal price drop over 5 years, why has it risen sharply again this year, and why do we think this will not last? The steady decline in coal prices was about China’s reducing demand for coal and steel, and their declining rate of economic growth. It also reflected that solar is now cheaper than coal for new power stations in sunny countries. That all led to over supply in the market. We reported on this trend with more detail in Jobs After Coal in 2014. Why the 2016 price rally? China, facing reduced demand and an overcapacity of 1500 MT/y , legislated for the closure of dozens of steel mills by the end of this year. (You can do that in China.) Their target is to cut 45 MT of steel making capacity by the end of this year. The number of days coal miners were allowed to work in a year was cut, enforcing decent holidays. US coal production has dropped by a third in two years and 30 mines were closed. Then against this background, a series of local supply interruptions occurred. Floods closed roads and a railway in China. Mines in Australia were flooded in freak storms. (The irony of climate-linked weather affecting climate-cooking coal will not be lost on our readers.) The Australian Government enforced some mine closures. Stock piles of coal declined in several countries. Added to that, China’s demand for thermal coal increased as rainfall into their hydro lakes dropped. Imports in August this year were 31% higher than in August 2015, with resulting price increases. Severe monsoons cut Coal India’s production by over 10% and their stockpiles are dropping. Why is this price rally likely to be short-lived? According to Tim Buckley of IEEEFA global coal use peaked in 2004 and is declining now in China, the US and the EU. Demand in India is still increasing but that demand is being met from ramped up local production which does not affect international prices. Government policy in India is to cease coal imports, and in China is to retreat from coal-fired electricity. China is producing a smaller quantity of steel and substituting scrap for new iron, which reduces coal requirements. The evidence suggests a short term supply constraint from a number of human and weather-related causes, set against a long term trend of movement away from coal as a preferred fuel in favour of cost-competitive renewables and concerns for air quality and, eventually, climate. Analysts Wood MacKenzie expect prices for coking coal to decline over 2017 to $130 by the second quarter, and further by the end of the year. BHP Billiton, which produces around half of all seaborne coal so presumably understands coal markets, just sold a coking coal project in Indonesia at a loss. 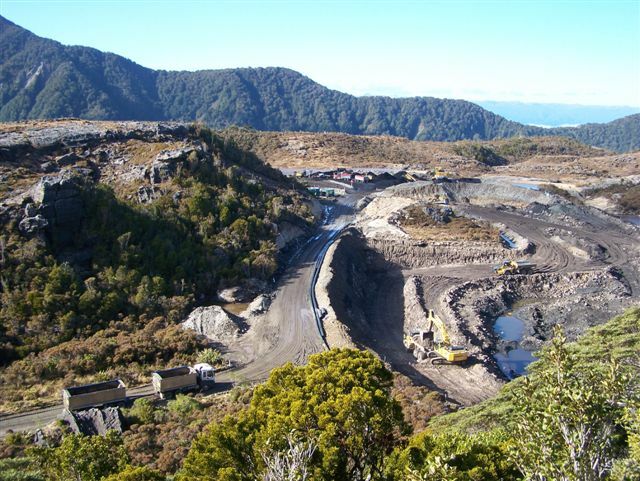 Against this long term trend, the reopening of Denniston would be a poor investment, and the proposed Te Kuha mine looks plain crazy. There is a long lead time to reopening a mine that has been mothballed, let alone opening a new one. Machinery, maintenance, removal of overburden, sourcing staff all take time. Thermal coal is at least 70% reliant on the domestic dairy industry, so continues – but that is a blog for another time. NextA hospital that makes people sick?